I didn’t want to buy the bottle of Victory’s Hop Wollop, despite the endearing sprung rhyme in the name. I was put off by the label which features a Poopdeck Pappy look-alike with foam in his beard and a corny story about him panning for gold which turns out to be this beer. But it was my bi-annual trip to Real Ale in Twickenham and, well, Mr. Malting talked me into it. Let me tell you, I’m glad he did. You’d never know this beer is 8.5%. It’s sneaky: light, well-balanced and easy-drinking. Dangerous! The hops are dominant as one would expect, but they are juicy rather than resinous. Lemon and green apple are clipped by a profound bitterness at the finish. The sweetness from the malt is reminiscent of agave nectar. After half a glass of this I’m getting happy and even warming up to the notion of Pappy. Tipsy enough to admit to being mesmerized by Popeye as a little girl. It was a favourite of mine. The Spinach Moment here clocks in at around 5 minutes. I would like to see a spinach moment beer– the label can explain that this cartoon character suddenly discovers the tin isn’t full of spinach but HOPS. 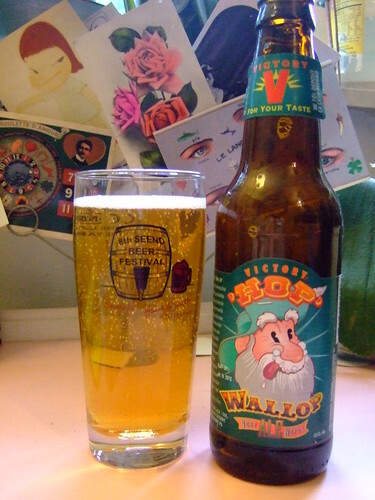 It makes more sense than the “Legend of Hop Wallop” on the beer I’m holding. But that’s the great thing about beer. It doesn’t have to make sense to taste good. 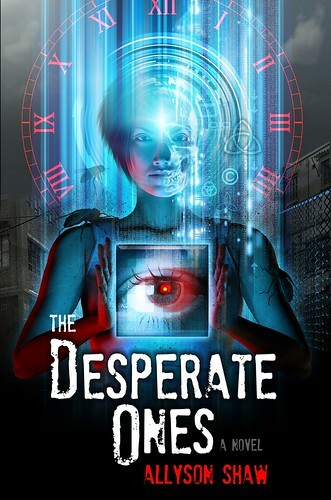 My novel, The Desperate Ones, is now available from Lulu.com in paperback and as a free download. So, this book has very little to do with beer. In fact, in the book’s universe there is no such thing as beer anymore. But if you are curious what has driven me to drink over the last six years I was writing this, or if you are keen on speculative apocalyptic fiction set in a meta-London, you just might like this thing. The cover was designed and illustrated by the illustrious Patrick Farley. This months session is hosted by Red, White and Brew, who’ve asked us to consider beer and distance, or which beer was “the longest haul away.” I first considered writing about the earthy, comforting Dragonhead Stout from the Orkney Brewery– I took a plane and then a car and then a ferry and another car across the the Orkney Mainland to Quoyloo because I thought they would have a visitor centre or at least sell me some beer, but it was just two guys working hard at making more beer. In the end, I basically went all that way to gush at them about how much I loved it and ended up buying some from the local market. Along with some bere bread and a mild, crumbly cheese made locally– it was the perfect meal. But then I reconsidered the subject. Surely the more interesting take on this is not the farthest beer, but just how far would you go for beer? Last night I toasted Pete Brown’s IPA voyage carrying a keg of traditional Burton IPA by ship to India. This journey has culminated in a book called Hops and Glory. The book is mixture of high-seas adventure, travelogue and an ode to IPAs. I read it on the tube and couldn’t help laughing out loud even if that made me look like a nutter. Last night I got to meet this man who has quite possibly gone the farthest for beer: his warmth, self deprecation and enthusiasm, so apparent in his writing, is amplified in the man. I spent the night chatting with the Moore Group fellows. The guys behind the Bronze Age Brewery experiments flew in from Ireland to drink IPAs (The Meantime IPA was my favourite of the evening) and chat about using moss to cork up an old wooden trough to use as a mash tun and boiling water with hot stones, and how none of it is reinactment because let’s face it that word is problematic. Good times! I hope someday to travel to Ireland to sample their ancient beer and laugh with them again. Beer obsessives, they are my people. 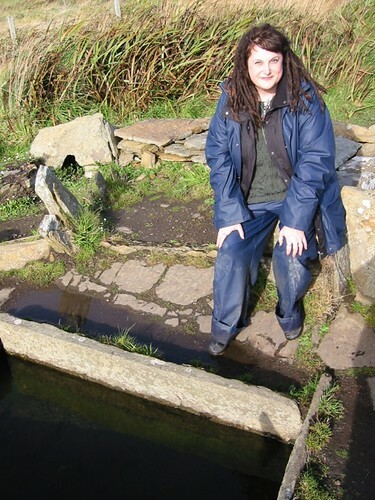 At the excavated burnt mound at the Tomb of the Eagles, Orkney. It very well could be the remains of an ancient brewery.